PORTLAND, Ore. --- Peri Parsons, a senior at St. Mary’s High School in Medford, Ore., has signed a National Letter of Intent and will join the University of Portland rowing team as a freshman in the fall, announced head coach Bill Zack. 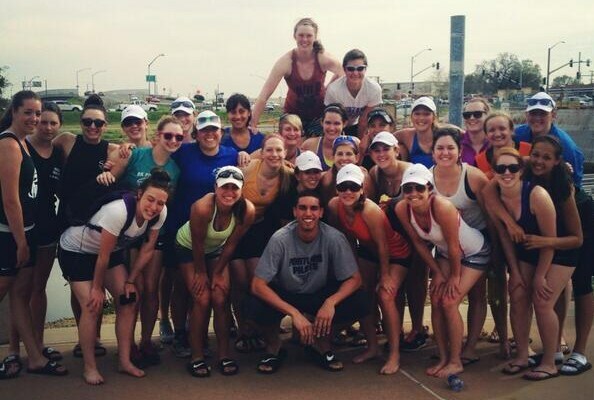 The Pilots just concluded their first year as an NCAA Division I rowing program. 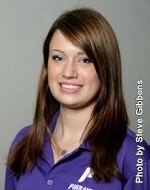 Parsons, who has been a member of the Ashland Rowing Club for three seasons, received an invitation to a U.S. Junior National Team Sculling Camp. She posted first-place finishes in the Women’s Junior Double events at both the Head of the Dog Regatta and Row for the Cure in Portland. Parsons also won the Women’s Junior Novice Single race at the Northwest Regionals in Vancouver, Wash., and won her heat at the Ergomania 2K in Seattle. As they say on the Canarias website, love those "Portland Pirates!" PORTLAND, Ore. --- The Portland Pilots women’s rowing program has added Todd Vogt as an assistant coach, announced head coach Bill Zack. Vogt spent the past year as an assistant coach at Lewis & Clark, helping lead the men’s varsity 4 to a first-place finish at the Northwest Collegiate Rowing Conference Championships. “I am very excited to be coaching at the University of Portland,” Vogt said. “I was very impressed by the level of success experienced in the first year of the program, and I’m hoping to help the team improve even further. I’m looking forward to coaching with and learning from head coach Bill Zack, who has a ton of experience and knowledge. 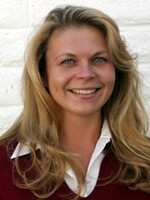 Before joining the staff at Lewis & Clark, Vogt was an assistant coach at Willamette University for two years (2009-11). While with the Bearcats, Vogt helped the women reach a No. 12 national ranking. A native of Rochester, N.Y., Vogt was also the head coach for the Portland Women’s Rowing Club (2011-12), and he spent the last two summers coaching at the Pennsylvania Athletic Club and at the Craftsbury Sculling Center in Vermont. While at the Pennsylvania Athletic Club, the lightweight 8+ he coached won at the USRowing Club Nationals Championships. Vogt began coaching in 2005 at the Lake Oswego Community Rowing club in Lake Oswego, Ore., working with both juniors and masters rowers. He began rowing his freshman year at the University of Buffalo, in Buffalo, N.Y., where he competed and won medals at various regattas including the New York State Collegiate Championships and the Dad Vail Regatta. After graduating he continued rowing with the West Side Rowing Club in Buffalo, racing in various regattas such as US Nationals and Canadian Henley. Vogt is a USRowing Certified Level 2 Coach. I was sitting on the balcony of a 13th floor (yep, they allow a 13th floor) condo in a complex overlooking the Willamette River a couple of days ago when the UP boats passed by with some very energetic ladies on the oars. As soon as I yelled, “GO PILOTS,” the coxswain (is that really what they’re called) stood up and waved, then all the other ladies also yelled, “Go Pilots” in unison. It was a fun UP connection and reminded me the very short fall rowing season is upon us. The Pilots take on Oregon State tomorrow (Saturday) morning beginning at 8 a.m. on the Willamette River in Corvallis. The next and last time we can see them in competition this fall is when they participate in the Portland Fall Classic on the Willamette River in Portland on Sunday, October 28 beginning at 10:00 a.m. Yes, the ending of that competition will overlap with UP’s women’s soccer match against LMU. CORVALLIS, Ore. --- The Portland Pilots women’s rowing team opened the 2012 Fall Season with a dual meet last weekend against the Oregon State Beavers on the Willamette River. Portland raced a first and second eight against three boats from OSU. The event consisted of three 3,000 meter races. The first 3,000 was a head race (time trial) for seeding purposes, and the final two races were side-by-side with lanes assigned based on the results of the head race. In the first time trial, UP rowed its first eight against Oregon State’s A and B boats. Portland was in lane two for the second race and finished second to the OSU A boat. In the third piece, Oregon State A again finished in first place. Portland’s second eight then had a slim victory in the time trial format over OSU’s third boat. The Beavers won the second race (head-to-head), and Portland won the third piece. The Portland Fall Classic is set for Oct. 28 on the Willamette River in downtown Portland. we didnt take our own boats down there??? Hello fellow Pilots and Pilots fans alike – welcome to the first entry of the first ever women’s rowing blog, get excited. We are all so grateful for this opportunity for the school and the community to get to know us. There is a lot of excitement buzzing around our team this year so let me take this opportunity to fill you in! Last year we were pleased with a better-than-expected fifth place finish at the West Coast Conference Championships. But rest assured this year we have set our goals high and are more than capable of working towards and achieving them. With a roster 50 women strong, there is a wide variety of talent and potential among both the retuning women as well as the novices. In addition to the numerous walk-ons, we were lucky to snag five freshmen recruits as well as a new assistant coach, Todd Vogt (who travelled with the team to the WCC’s last year). This Sunday, October 28th, is the team’s second official competition after a scrimmage with OSU, and the team’s first big regatta of the year – The Portland Fall Classic. Right on the Willamette River, we will leave via our own dock and head on down the river and row a good, hard 5000 meters. As one of the largest headraces, meaning that there are no specified lanes for the boats, the Fall Classic will include many crews ranging in age and location and will provide a great opportunity for the team to get some race experience and showcase our talents. The team is excited as it is many of the team members’ first race. There is much excitement surrounding not only this regatta, but also every one we have in coming months. Regardless of this, the WCC’s, though not until May, are always in the back of our minds, reminding us to work hard and be aggressive and dedicated in everything we do. Each 6 a.m. practice or afternoon weight room session is directed at improving the team, bettering us every minute of every practice. We look forward to our second year as an official NCAA sport and can’t wait to show everyone what we’re made of – we have some big plans for the future. Next week look forward to a full recap on the Portland Fall Classic in addition to some fun facts about rowing! Until then, thanks for reading and Go Pilots. 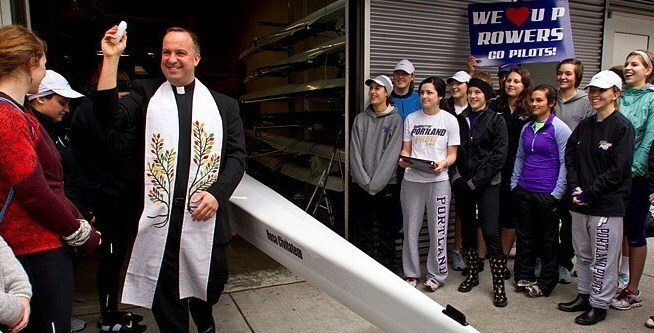 You might not have heard the Portland Pilots women’s rowing team christened the newest boat last Saturday ...….the team’s newest four-oared shell is named the Rosa Civitatem…..Latin for Rose City, I’m told. Rev. Gerard Olinger, C.S.C., Vice President for Student Affairs at the University of Portland, presided over the ceremony. Just read the thread--like the note about the crews (?) response to your shout of Go Pilots. I am sure I am among many, however, who know little of the sport. If he can wake up on time, it is understood that one of our former PN regulars, a member of the UP Class of 2012, will be reporting on the Portland Pilots women’s rowing team meet on Saturday in California. The Invitational is set to begin at 8 a.m. on Saturday morning and the event will take place on the same course as the 2012 & 2013 West Coast Conference Championships on Lake Natoma, near Sacramento. The Pilots and host Sacramento State will be joined at the Invitational by Saint Mary’s, defending NCAA Division II National Champion Humboldt State, UC San Diego and Mills College. Portland’s second eight will row first at 8 a.m. UP’s first eight will follow at 8:30 a.m. before the novice eight goes at 9:30. The Pilots will then race a varsity four at 10 a.m. and a novice four at 10:30 a.m. Apparently also pumped up for the meet is a member of the UP Class of 2016, basketballer Bryce Pressley, home on Spring Break….shown below with members of the women’s rowing team. Hmm, still waiting for the rundown on the meet in Sacramento from our 2012 grad and journalist. Do you suppose 8:30 am was a little too early for him? Thanks for the concern, DD. I woke up in time but getting to Lake Natoma turned out to be trickier than I thought so I missed the first race. My lag in posting came from getting the times and inherent perfectionism. When I have more time, I'll try to post photos and a brief video. Overall, I had fun despite not knowing much about rowing going into the day. A hidden gem of the regatta experience was the teamwork before and after a race in which the whole team would gather to receive pep talks and help get the boats out of the water and back onto the grass or onto the trailer. Here's portlandpilots.com's perspective on the day and the results for UP's races. I was lucky to talk with Coach Zack a few times in between the races and learned among other things, learning was not completely ignored during this break. To make up a missed field trip, a pair of rowers visited the Nimbus Fish Hatchery located a few minutes from the Sac State Aquatic Center and were able to compose papers comparing the operation and its Dam to the Bonneville Dam. 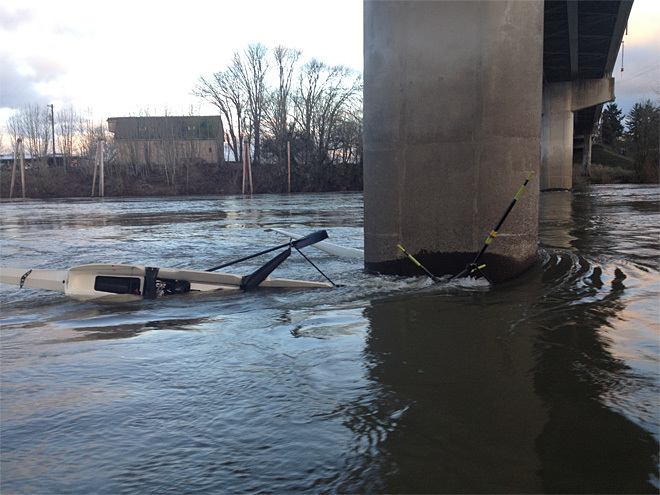 The rowing team is probably back as you read this for the rest of the spring semester; the assistant coaches and the boats are making their steady trek up I-5. The rowing team's next competition will be the Husky Open on April 6. If you don't want to leave Oregon, you can wait a week and see them at the Covered Bridge Regatta at Dexter Lake. I'll be down here in the Sacramento region and will hopefully file another report from the WCC Championships May 18. Also you can follow their exploits via twitter at UP_Rowing! Great report, DJ.....you are now in the top 2% of the most knowledgeable of UP Rowing on PilotNation!! In the past we've found it can take days to get the results of these races; to have them on the same day as the race is definitely a FIRST! Interested? Here’s your chance to help the UP Women’s Rowing Team and earn a nice salary. SAN DIEGO - San Diego State Director of Athletics Jim Sterk announced the hiring of Bill Zack as the head coach of the Aztec rowing program on Tuesday. Zack comes to The Mesa after a highly successful stint as the head coach at the University of Portland for the past two years. During Zack's time with the Pilots, he was responsible for the transition of the team's status from club to varsity membership. At the 2013 West Coast Conference (WCC) Championships, the Pilots tied for third in the point standings in only their second year of competition. Zack also coached three rowers who were recognized a part of WCC Rowing all-conference teams, 12 Collegiate Rowing Coaches Association (CRCA) national scholar-athletes, four members of the WCC Rowing all-academic team and 15 WCC Rowing all-academic team honorable mention recipients. Bill was a great hire at UP and did a terrific job with the young Pilots team....he'll be missed in Portland, but I guess we have to say "congratulations, Bill." Bill gave UP a great head start for the program. I hope we find somebody who has the sea by to advance the team. I notice the assistant job is no longer listed. 1515 SE Water Avenue, Portland, OR. You are invited to join the UP Rowing family at their last home race - the Portland Fall Classic Regatta. UP teams will be racing throughout the morning - please come out to support the team, tour the boathouse that UP Rowing calls home, and meet other supporters of the Pilots. Coffee and refreshments will be available to all Pilot fans at our team tent. The crews will launch approximately 50-60 minutes before each race start time above. Come eat and drink with the UP athletes & coaches, watch the boats handled from the rack to the dock, and cheer the team from the shore as we race by! • The open house will be at the Team Tent Area! • Directions to the Portland Boathouse: Access the race site via the SE Water Ave exit from I-5 north. From I-5 south, take exit 300B to southbound SE MLK Blvd. Turn right on side streets to approach the river. • Numerous free street parking spots are available within six blocks of the venue. A parking lot is available for the regatta ($5/car, cash only) 4 blocks north of Portland Boathouse. • By Facebook under Events or Evite link. "LIKE" UP ROWING ON FACEBOOK! "FOLLOW" UP ROWING ON TWITTER!